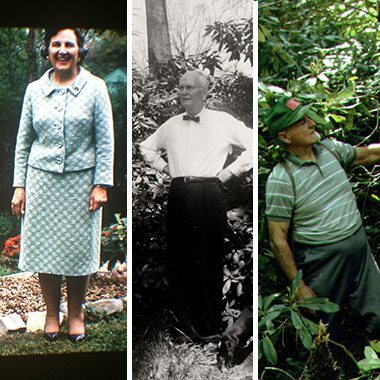 Begun in 1966 on the newly-established Charlotte campus of the University of North Carolina system, the Botanical Gardens was the brainchild of biology professor Dr. Herbert Hechenbleikner and UNC Charlotte founder, Bonnie E. Cone. The Gardens were created to serve as a living classroom for biology students and as a horticultural and botanical resource for the campus and greater community. This was a unique beginning, as university botanical gardens usually spring from a formal horticulture or botany department. 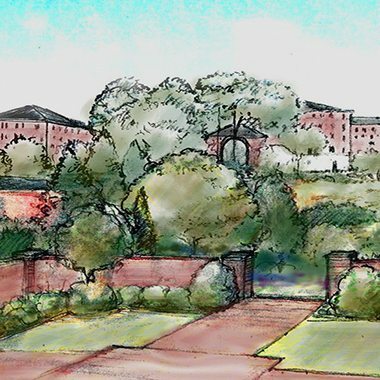 Despite the absence of those departments, the Gardens founders believed a university campus was not complete without the educational and cultural resource of a thoughtful, managed botanical garden. This vision became possible through the support of members of the Charlotte community, especially Mr. Ralph Van Landingham, and the hard work of Dr. Hechenbleikner and previous Director, Dr. Larry Mellichamp. That first installment of the Botanical Gardens was the Van Landingham Glen. The Glen was also utilized by the local Rhododendrons Society, creating a unique space in the Charlotte are where students, botanists, and enthusiasts came together to grow a garden. 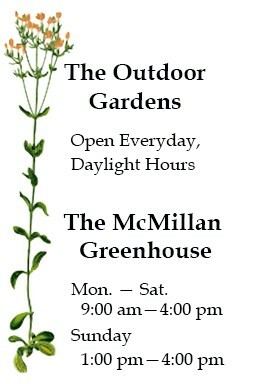 The McMillan Greenhouse had a similarly specific purpose. It was originally constructed so that the Botanical Gardens could hold an Orchid Collection. That Orchid Collection is still thriving in the Greenhouse and even includes some of the original orchids. UNC Charlotte’s Botanical Gardens had a unique and humble beginning. 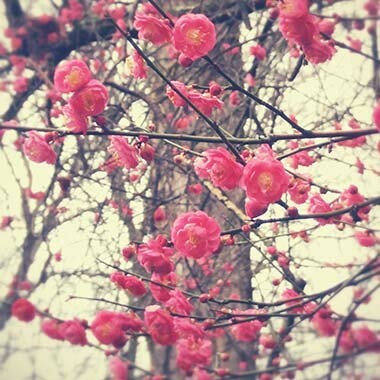 Since that time, the Botanical Gardens has flourished to contain more variety of plants and collections than any other Charlotte-area garden. Over the last 40+ years the Botanical Gardens have evolved into the special resource that exists today, comprising 10 acres of outdoor gardens, a 4500 sq ft glasshouse with attached workspace, and teaching classroom that also contains a 1200+ book botanical and horticultural library. The expansion of the Botanical Gardens has been matched by the vision and dedication of our staff. Several underutilized areas have been improved into special collections to showcase unique approaches to gardening. The most recent addition, the Mellichamp Terrace, is an example of combining a love of horticulture, botany, and home gardening.